9 to 5 Travel has discussed countless flying tips such as how to pack and travel with caryy-on luggage only, what to take with you on a long haul flight, and how to stay comfortable on an airplane. We’ve even brought to your attention a product that will surely come in handy to carry-on travelers, toothpaste tablets. 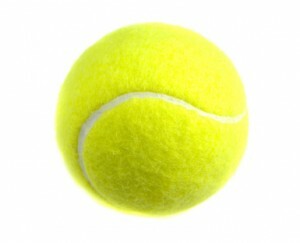 Recently, a reader gave me an invaluable travel tip of flying with tennis balls. Sounds bizarre, doesn’t it? It’s actually quite clever. What she does is keeps one tennis ball in her hand luggage and uses it during long haul flights to roll around under the soles of her feet, giving herself a nice foot massage. We’ve all heard horror stories about deep vein thrombosis on airplanes, blood clots that can occur when you don’t move around enough, so this was a great piece of advice. Additionally, you can place a tennis ball between your upper back and the back of your seat, then roll the ball around and find the knots which need loosening, giving yourself a lovely back massage during your flight. If you have extra room in your luggage, bring two tennis balls and slide them into a sock, tying off the open end of the sock so that the balls are touching each other – this will allow for an even better massage. Happy flying!